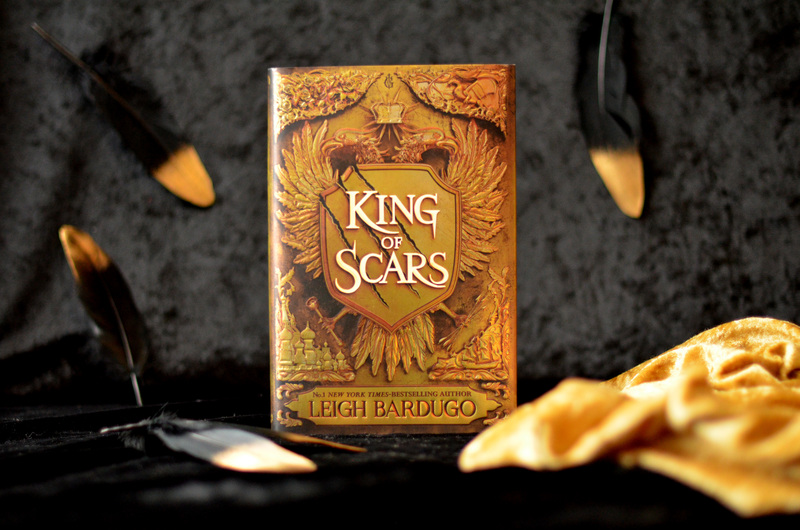 So, tomorrow *internal screaming* the one, the only, KING OF SCARS is going to be published. We. Can’t. Wait. 1. Where does King of Scars sit in the order of the Grishaverse? Chronologically in the Grishaverse, King of Scars will sit after the events of Crooked Kingdom, and features some of our favourite characters from Shadow and Bone AND Six of Crows. 2. Speaking of characters… Which characters will we be reacquainted with in King of Scars? We’re glad you asked! Nikolai is a true fan fave. He is witty, hilarious, intelligent and a beautiful man who also happens to be Prince of Ravka (well King of Ravka at the end of Ruin and Rising). He has all the best qualities of a fox and all the best qualities of a lion and he was a privateer, under the guise of Sturmhond, for a short time in Siege and Storm. He’s cunning but noble, scheming but only for the best interests of his beloved country, Ravka. Nina is a tall, curvaceous and totally badass Heartrender from Ravka, who joined the Dregs (a gang of misfits and runaways) in Six of Crows. She’s bold, hilarious and charming in equal measure, but above all else loyal to Ravka. She sees herself as a Soldier of the Second Army first and will always put her needs below those of her country’s. Everyone lost.their.minds when she was announced to join the King of Scars crew, and we understand why! Genya is a Tailor, with rare Grisha power to alter her own and others’ appearance. We meet her at the beginning of Shadow and Bone where she is coveted by many, including the King of Ravka. At the hand of the Darkling her beauty is destroyed in a cruel and savage way, but this girl is resilient and comes back from the brink with fire in her heart. She is still awesome and gorgeous in every way that counts, and we can’t wait to meet her again. 3. Is there any new bonus material for King of Scars? A brand-new Grishaverse map by Sveta Dorosheva (see below) will feature in all finished copies of King of Scars. We love it and definitely think Nikolai would approve. 4. What do the finished copies look like? It’s glorious, isn’t it? The whole package is just to die for. 5. Where can I buy the book? The most important question. There are a few different editions of the book (listed below) to make it even more difficult to resist the temptation to get this book. This highly-coveted edition has the gold King of Scars cover and underneath a dark grey jacket with gold foil. It will also, of course, be signed. This one is a beauty! Words do not do this edition justice so we’ve inserted a photo below to show just how gorgeous this book is. That’s black foil on a GOLD cover. It’s an edition fit for a king. You can pre-order/buy the general hardback edition of King of Scars through all good bookshops and retailers. This edition is just like the signed Waterstones edition but without the signature, of course. If you pre-order your edition through Waterstones before midnight on Monday 28th January, you can also be in with a chance of winning one of fifty exclusive, limited edition prints featuring artwork of Nikolai by Kevin Wada and also signed by Leigh. Find out more here. Thank you so much for joining us on this What We Know So Far journey! We can’t tell you how excited we are to read King of Scars, and we want to hear everything you guys have to say about it! Tag us @teambkmrk in any social and use #KingofScars. We honestly feel like kids counting down to Christmas, instead we get a gorgeous privateer prince at the end of it (not a fat, bearded man who sneaks into your room while you’re sleeping).